Sunday Soul Sante? What the hell is that, I thought when I first heard the name. That’s when my colleague who also knows Kannada explained that Sante is the Kannada word for markets that are held in villages. These markets too are usually held on a Sunday. The Sunday Soul Sante however is no village market. 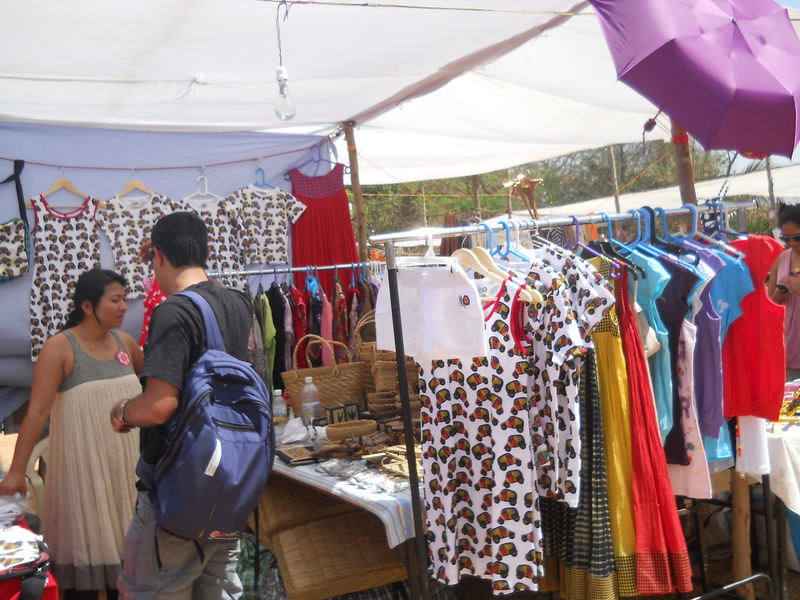 It is held in the heart of Bangalore, palace grounds to be precise, is a quarterly event and attracts hoards of people. What makes Sunday Soul Sante different is that it attracts hundreds of young entrepreneurs. These people are students, housewives, lawyers, teachers, software engineers, newlyweds, mom-in-law etc etc from nine to five, and then go out and pursue their passion, and live their creativity. This may take the form of painting, craftwork, jewelry making, colorful accessories, cooking, stationary, greeting cards, wine making, you name it and it’s probably there. 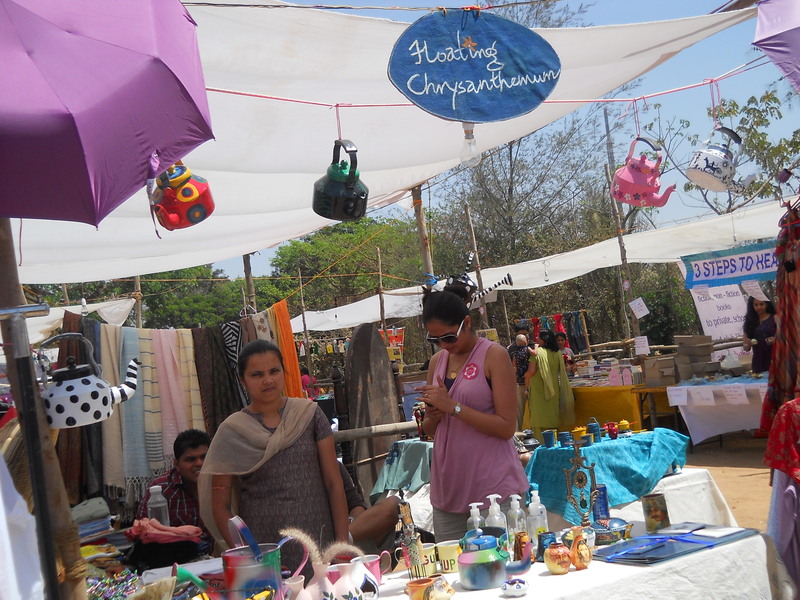 The event begins by 12.30 p.m and from the word ‘open’, the large layout of 250+ stalls are teaming with visitors. Today was a particularly hot day, with the barometer probably hovering around the mid thirties, but between huge gulps of water, we flitted from stall to stall. 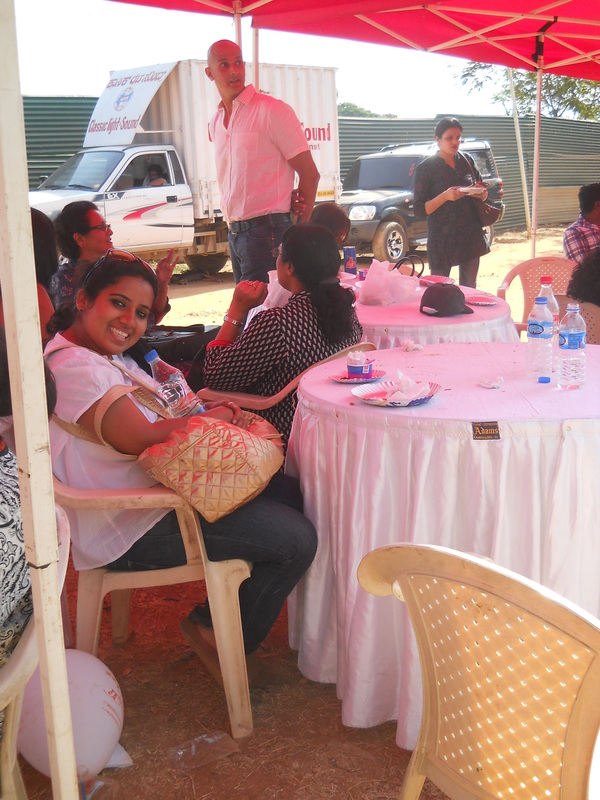 With me were my two friends, Sreeja Nair and Kaneez Rai, both of who well hell bent to snap up all the ‘good stuff’ (to quote Sreeja here) before it was ‘all gone’. Of course they left the Sante a few thousands lighter, but they were radiant about the fantastic clothes, jewelry, stationary and other knick-knacks they had purchased. Notwithstanding the red dust rising with every footstep, Sunday Soul Sante is a feast for the eyes. Bright summery colours are in; the discerning consumer is tired of the super markets and malls, where thousands of people are buying the same stuff as you. Today, folks are looking for the unique, the offbeat, products that can be customized. So at Sunday Soul Sante you meet folks that hand paint a pair of converse shoes, give you beautiful fabric wraps for your bean bag, sell you homemade Coorg pickles, sell you cup cakes and top them with icing containing generous doses of Rum, Tequila, Champaign, Vodka, and so on. Entrepreneurship is in, gone are the days when folks got bogged down in the drudgery of routine. Today, young people, those in college and those just out come up with truly great ideas, recognize the commercial value of it and leverage the advantage of the internet to market their stuff, how about gifting your friend a personalized photo frame, or your mom a personalized handbag. 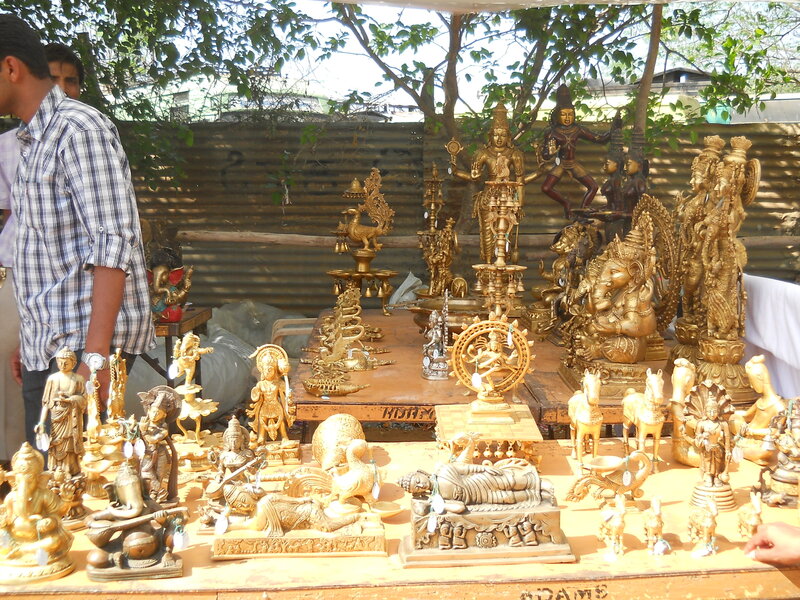 Beautiful handcrafted lamps, bottles heat pressed into shapes like ashtrays and traditional handicrafts are hot. Eco-friendly is in. walk around and you see loads of paper, fabric, thread, wood, glass, leather used in a hundred creative ways. It was tiring no doubt, my feet still hurt with hours of walking in the baking sun, but the exuberance, positivity, smiles and warmth is infectious. What a wonderful way to spend a Sunday!